I hope you're having a nice start to February.In today's post I'll be sharing with you guys some easy face packs for skin having aloe vera as a main ingredient.But before that let me throw some light on why aloe vera is a one kind of solution for all your skin problems. Aloe vera is a nature's blessing for your skin.It contains many antioxidants like beta carotene,vitamin A,vitamin C and vitamin E.All these antioxidants help in slowing and preventing the production of free radicals that damage skin cells.Consistent use of aloe vera helps in tightening of skin and reducing wrinkles thereby slowing down the process of ageing.No matter in which form you use it, aloe vera will always prove to be beneficial for skin.It has skin soothing properties and is also a natural moisturiser so it works for both oily and dry skin. 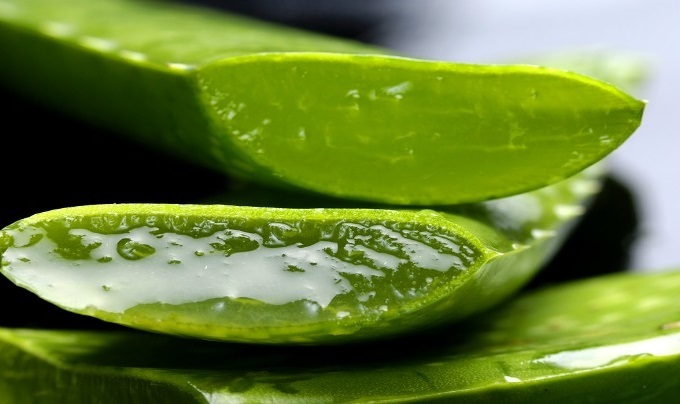 Pimples,spots,wrinkles,dullness and so many other skin related problems can be effectively cured with aloe vera. Regular use of its gel only will rejuvenate your skin.Now imagine the wonders it can do for your skin when used as a face pack with some amazing ingredients right from your kitchen. Wash aloe vera and extract its gel,then take one cucumber and grate it.Mix it with aloe gel and add few drops of rose water in this mixture.Apply this on your face and neck,leave it for 20 mins and then rinse your face with normal water. Take one ripe banana,mash it in a bowl then add 2 tablespoon of aloe vera gel and 2 teaspoon of honey.Mix this well and massage this mixture on your face in circular motion.Leave it on for 10-15 mins and then wash it off your face with warm water. Prepare a mixture of brown sugar and 2 tablespoon aloe vera gel.Apply it on your face.This mixture works both as a face pack and a scrub and is quite effective for healing sunburn. Take one tablespoon of aloe vera gel,mix 2 tablespoon of cream (malai) and a pinch of turmeric in it.Apply this mixture on your face and keep it for 30 mins,then rinse it off your face with cold water.It will instantly make your skin fresh and this face pack is suitable for all skin types. Now for the next face pack,you will only need lemon and aloe vera gel.Mix 2 tablespoon of aloe gel with one tablespoon of lemon juice.Apply this on your face and keep it on for 15 mins before washing your face.Using this pack every alternate day will help remove tan off your face and will brighten dull skin. Mix turmeric powder (only a pinch quantity),2 teaspoon of honey,milk and few drops rose water with aloe vera gel.Apply this on your face and neck for 20 mins and then wash it off. Grind some almonds and add them in 2 tablespoon of aloe vera gel.Mix both the ingredients well and apply this on your face for 15 mins and then wash.It's effective for both anti-ageing and dry skin. Take one tablespoon of Oats and mix it in 2 tablespoon of aloe vera gel,massage this mixture on your face and leave it for 10-15 mins before washing with normal water. 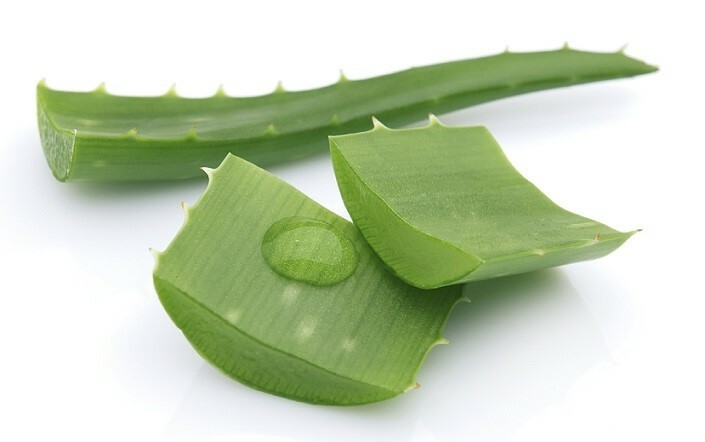 So I hope you'll find the above aloe vera face packs beneficial for your skin and if you don't have aloe vera plant in your home,please get it because raw aloe vera gel is really good for your skin.I use it every alternate day on my skin,sometimes as a pack and sometime just the gel. Very informative Aditi ! Thanks for sharing these amazing packs here with us. Have a great day! Great tips! I will have to try these! Nice tips. I like adding a tiny bit of turmeric to aloe vera and using it on my face. My recent post: Eyeshadow Hack | Wear Your Matte Lipstick As Eyeshadow Base !! Awesome article! Will surely try some..
Aloe vera is my go to ingredient for when my skin is irritated or inflamed! I am going to try the mask for dull skin .. Great post..